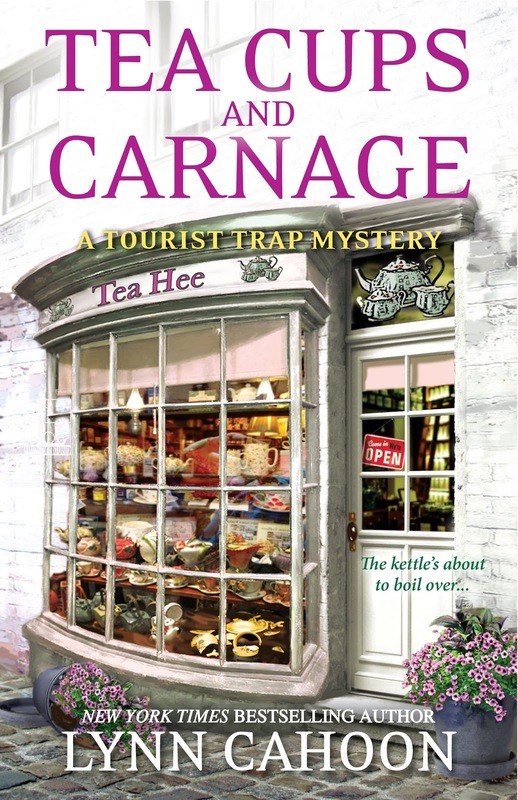 Killer Characters: Tea Cups and Carnage - Welcome Guest Lynn Cahoon! 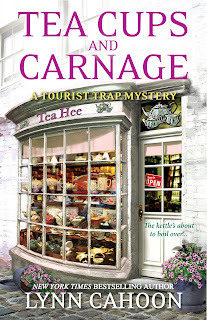 Tea Cups and Carnage - Welcome Guest Lynn Cahoon! Yep, that describes me to a ‘t’. 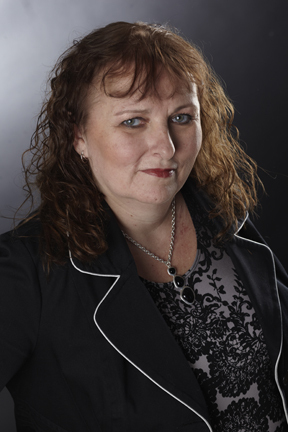 I’m Jill Gardner, owner of the Coffee, Books, and More shop here in South Cove. We’re just off Highway 1 on the central California coast. There’s a reason I have a combination store with drinks, desserts, books, and the typical souvenirs you can buy in a tourist trap. I love all of those things. You should see the line of magnets on my fridge from all the places I’ve visited. I used to buy those spoons, but I don’t have anywhere to display them. Magnets on the other hand, they’re in your face easy. Back to the subject, it’s all about the food. I’m a big fan of Sadie’s Summer Surprise, a lemon cheesecake that she started making this year. Of course, I love her double chocolate cheesecake as well. And her pumpkin marble. Okay, fine, I just love cheesecake. I’m also a regular down at Diamond Lille’s, the only place besides my shop where you can get food in South Cove. Lille, the owner, kind of hates me, but she hasn’t banned me from the place yet. Others haven’t been so lucky. The place is the classic greasy spoon diner with amazing home-style food. If you’re looking for new and innovative, Lille’s isn’t the place to go. But if you want a hot turkey sandwich with real Idaho mashed potatoes covered with your choice of brown, turkey, or country gravy, you won’t be disappointed. Greg, he’s my boyfriend, swears by the meatloaf plate. I’m kind of partial to the fried fish. With French fries. Sprinkled with a dark cider vinegar, the dish makes me happy. Who am I kidding? All good food makes me happy. Which is why I run with my golden retriever, Emma, most days. We like our beach trail that takes us out to the cove where the sand turns to rocks. Sometimes, we stop to watch the sea creatures that the tide has stranded in the small pools of water between the rocks. I better get going. I have most of the business owners in town over this morning for the business to business meeting I run for the city council. We need to get started on the next town festival. Or at least hear the plan our amateur event planner has for the event. We just get to say, “Okay, Darla,” at the end of her presentation. But she’s good at it. And we have a new business owner this month. Kathi Corbin is opening a tea cups and tea pot supply shop across the street from me. I’m excited to see what she had in mind. As long as she’s not cutting into my dessert and coffee business, I’ll welcome her with open arms. If she does, well, we’ll have to talk about who was here first. See you during your next visit to South Cove. Love the series! Looking forward to Tea Cups and Carnage!! Thanks Dee. So glad you stopped in this am. Haha! Sounds like fun, can't wait to read...I'd definitely visit this little town..! Keep them coming! I love visiting South Cove! Hey! Nice to see you here. We love having you! Sadie's Summer Surprise is the BEST! I'm looking forward to your new book! I had a teapot collection, but had to give some things up when we down-sized. I miss those teapots. I would love to browse in the new store, after I get a cup of coffee at your place first, of course. Elaine, I had the mini china tea sets but left them in Idaho when I left. I love this series and I can't wait to read your new book.